The Pacsafe Strap Extender (2.5 x 25cm) you can Add some extra length if you need it to either your Camsafe V2/V3/V11 or Venturesafe 200/10L. Dimensions : 0.98" x 9.84"
The Pacsafe Strap Extender (2.5x25cm)-Black has many exciting features for users of all types. 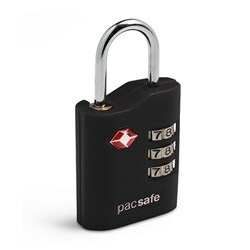 FactoryOutletStore stocks a full line of accessories like 4 Dial Retractable Cable Lock and Combination Lock for the Pacsafe Strap Extender (2.5x25cm)-Black. 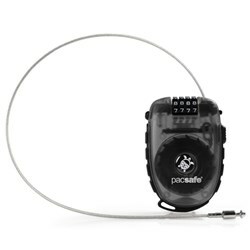 The Pacsafe Strap Extender (2.5x25cm)-Black is sold as a Brand New Unopened Item.